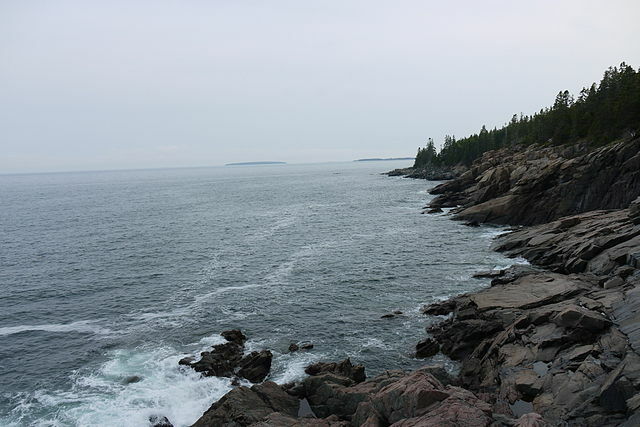 Acadia National Park: Though the affluent of the turn of the century came here to frolic, they had much to do with preserving the landscape that we know today. It was from this social strata that George B. Dorr came. He devoted 43 years of his life, energy, and family fortune to preserving the Acadian landscape. Thanks to the foresight of Dorr and others like him, Acadia became the first national park established east of the Mississippi. Located on the coast of Maine, Acadia encompasses 47,633 acres of granite-domed mountains, woodlands, lakes and ponds, and ocean shoreline. 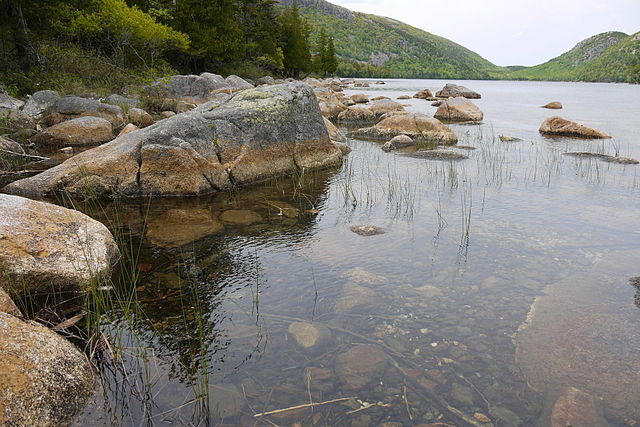 Such diverse types of habitat make Acadia a haven for wildlife and plants. 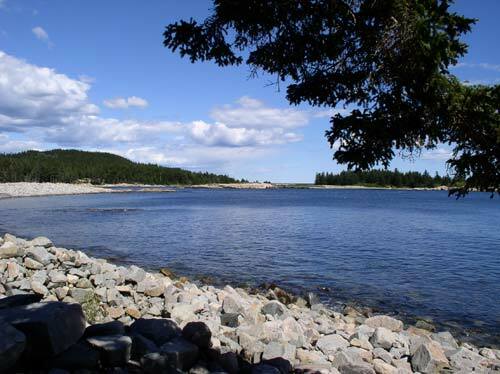 Entwined with the natural diversity of Acadia is the story of people. Evidence suggests native people first lived here at least 5,000 years ago. Subsequent centuries brought explorers from far lands, settlers of European descent, and arising directly from the beauty of the landscape — tourism and preservation. Mount Desert Island’s present day trail system evolved over centuries of human use and settlement of the land. From American Indians who blazed trails on hunting forays, to European settlers who connected villages and harvested forests, their activities provided transportation routes on the island long before the first roads were built. In the mid-1800s, rusticators came to the island to enjoy its beauty and to escape the bustle of large cities. They followed many of the existing paths and trails up mountains, through the woods, and along the ocean shoreline. Among the rusticators were Hudson River School artists Thomas Cole and Frederic Church. 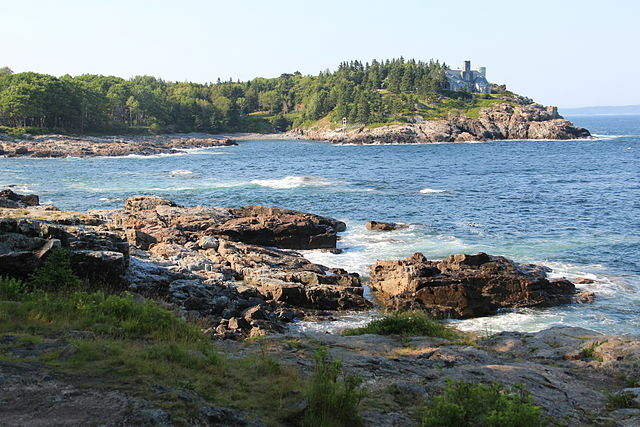 Their renderings of the island attracted city dwellers to experience the Maine coast. Many of those who traveled to the island were very wealthy. They built 80 and 100 room “cottages” in which to pass their summers. Some cottagers socialized at tennis matches, lawn parties, and horse shows. Others, like the rusticators before them, were lured by the natural beauty of the island and preferred hiking. By the end of the 19th century, an era of active trail building had begun. Trails lost their utilitarian origins and were transformed into paths that promoted interaction with, and enjoyment of, the natural landscape. In 1891, the first extensive trail plans were drafted. Much of the trail building was sponsored by Village Improvement Societies. An innovative approach to funding construction was the creation of memorial paths. Individuals who financed a trail could name it after the person of their choice. Kurt Diedrich’s Climb, which ascends Dorr Mountain’s east face, is a memorial path. Plaques were often set along the trails in memory of the person who was being honored. Actual trail construction took innovative forms as well. Waldron Bates, chair of the Roads and Paths Committee of the Bar Harbor Village Improvement Association 1900-1909, was the first to incorporate stone stairways and iron rung ladders into trails to traverse cliffs, talus slopes, and other steep areas. An example of his work is Gorham Mountain’s Cadillac Cliffs Trail. A plaque at the head of the trail memorializes Bates as Pathmaker. Others who followed Waldron Bates carried on his legacy of innovation and craftsmanship. Rudolph Brunnow built the Precipice Trail over the formerly impassable cliffs of Champlain Mountain, and George Dorr, one of Acadia’s founders and the park’s first superintendent, promoted memorial paths. He oversaw the construction of several stairway trails leading from Sieur de Monts Spring to the summit of the mountain which now bears his name. The Great Depression, however, brought the New Deal and the Civilian Conservation Corps (CCC) to Acadia National Park. Two camps were established on the island in 1933, one on McFarland Hill (now park headquarters), and the other just south of Long Pond on the west side of the island. A good deal of their work involved trails. East side crews primarily rehabilitated existing trails constructed by Village Improvement Societies. West side crews expanded the trail system on newly acquired tracts along the western mountains. The Perpendicular and Great Pond Trails are examples of work completed by the CCC. Today, hikers can follow the footsteps of early settlers and American Indians, and outdoors enthusiasts of another era. Acadia’s historic trails are still as challenging to present day hikers as to those of generations past, and their scenic values and ties to the landscape evoke the sense of awe experienced long ago.